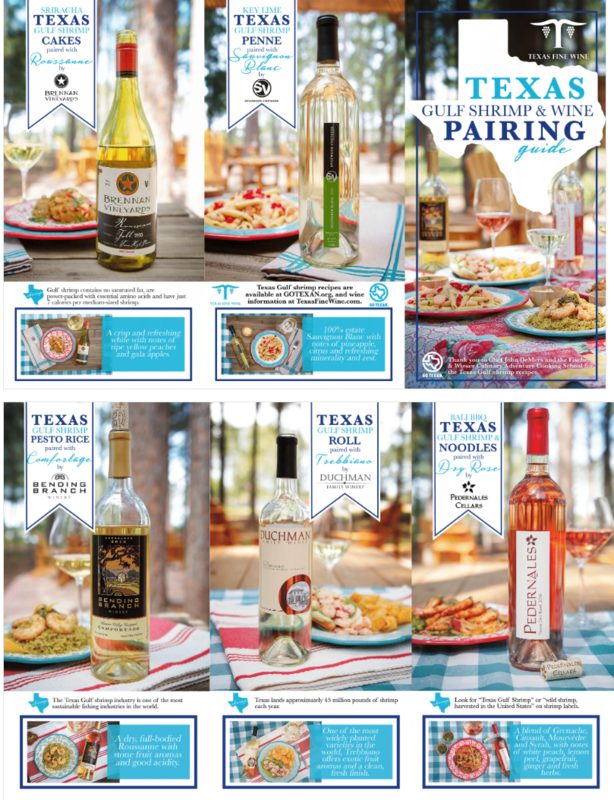 CENTRAL TEXAS, May 9, 2017 –Texas Gulf shrimp and Texas wine are two of the Lone Star State’s summer favorites so Texas Fine Wine has created a new Texas Gulf Shrimp and Wine Pairing Guide. 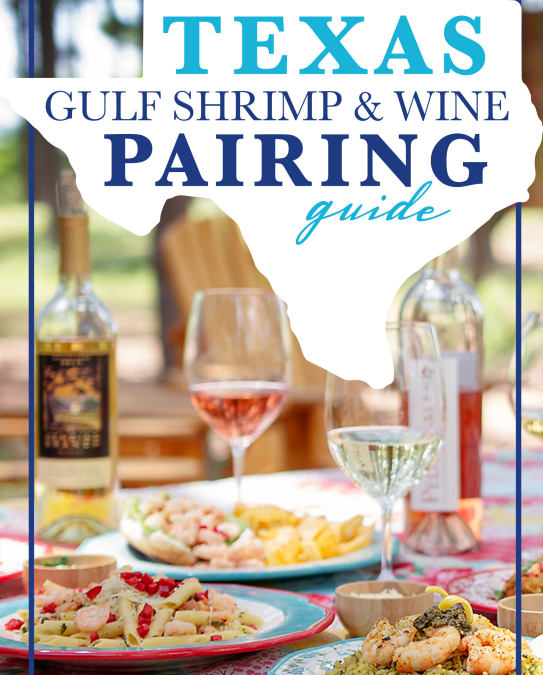 The pairing guide features five special Texas Gulf shrimp recipes, developed by Chef John DeMers, which will be prepared at five upcoming Fischer & Wieser Culinary Adventure Cooking School vintner dinners hosted by Texas Fine Wine. Brennan Vineyards will be the featured wine for the first Texas Fine Wine Vintner Dinner on Friday, May 12. The subsequent dinners are Spicewood Vineyards on June 16; Duchman Family Winery on July 14; Pedernales Cellars on August 18; and Bending Branch Winery on September 15. Guests will enjoy a five-course meal, which includes a Texas Gulf shrimp dish, paired with five wines from the featured winery. Guests will also receive the new Texas Gulf Shrimp and Wine Pairing Guide along with a Texas Fine Wine tote bag. Tickets are $75. Each month, the new Culinary Adventure Cooking School will offer tastings from the featured winery in its renovated space at the historic Das Peach Haus store and will sell wine by the bottle. Texas Fine Wine is a group of five distinctive wineries dedicated to making quality wines from Texas appellation vineyards and setting the highest standards in the Texas wine industry. Texas Fine Wine invites wine enthusiasts to visit TexasFineWine.com for information about each winery, news releases about recent wine awards, and other materials such as its Iconic Texas Food & Wine Pairing Guide. Follow Texas Fine Wine on Facebook, Twitter and Instagram. Texas is a top producer of quality, wild-caught shrimp, landing approximately 45 million pounds of shrimp each year. For the pairing guide recipes and other information about Texas Gulf shrimp, visit http://www.gotexan.org/ExperienceGOTEXAN/GOTEXANShrimp.aspx.